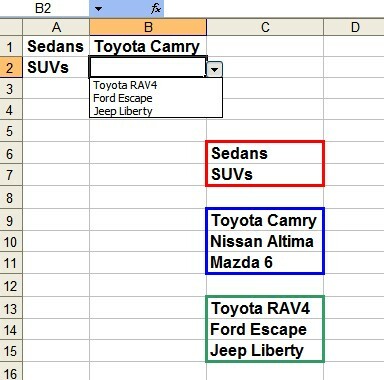 Choose a vehicle type from the selection that appears in the A column, and the choices in B will be limited to the entries in the appropriate list. Go to Insert>Name. If the list selected includes a label/title, choose Create, otherwise choose Define, type the name and hit Enter).